Relaxing on the plane after a wonderful two days in Colorado,. I am thinking about the response/reaction I received at Champions Martial Arts. From beginners to top level experts the response was not only warm but also inspirational and insightful. "So simple", "So natural" and "So effortless" was the way they described our style, IKI Krav Maga. I am so pleased as this is my goal, in the words of Bruce Lee "simply to simplify". With my coffee on the plane comes a napkin, and of course, in truly commercial fashion no opportunity is missed to make money. Even a simple napkin must contain an advertisement, an attempt to make more money for the company. So this one begins with "Taking high tech to new altitudes" (plane, altitudes, clever play on words). Immediately I see a blog, a Krav Maga application even thought it is the latest United "App" (application) they are trying to sell. I might say that with IKI Krav Maga we are "taking low tech to new lows." In other words we are taking our simple teachings to an ever simpler level. We are making it easier, more accessible, better for all types of people. IKI Krav Maga is designed to get our self-defense so simple that anyone will be able to learn it and use it in real life situations. Low tech - simple gross motor moves, simple techniques that we can all process when in a stressful or fatigued situation. Our beauty is in our simplicity, we are proud to be low tech. we all know that as our cameras, TVs, computers, and gadgets get more and more complex - more can go wrong. I have been having car trouble, my mechanic, Eyal, is not sure what the problem is, apparently something with the car computer. In the past it was much simpler to repair cars, many people could do it on their own, but nowadays everything has gone hi tech and the difficulties are multiplied. The more complex the mechanism - the more potential problems and the more that can, and will, go wrong. so with IKI Krav Maga our aim is simply to simplify so that as many people as possible can benefit from our training. In Colorado we just tested and certified six new instructors. I am proud of their instructor, Todd Bradley and I am proud of all of them. We need to reach as many people as possible so that no man or woman or child should live in fear. At Champions Martial Arts in Colorado with new instructors. October 2013.
the book that complements your Krav Maga training. Take your understanding of Krav Maga to the next level. The essential book for understanding the roots of Krav Maga. 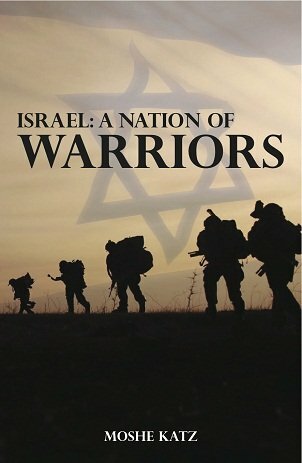 Who are the people of Israel? how did they develop their fighting spirit and style? Who was the real first combat instructor? The answers are in the book. Being both an American and an Israeli, Moshe is in a unique position to analyze the two societies and the differences and commonalities between them. What Makes a "Warrior Society"? How did The United States of America begin as a Warrior Society and then change? 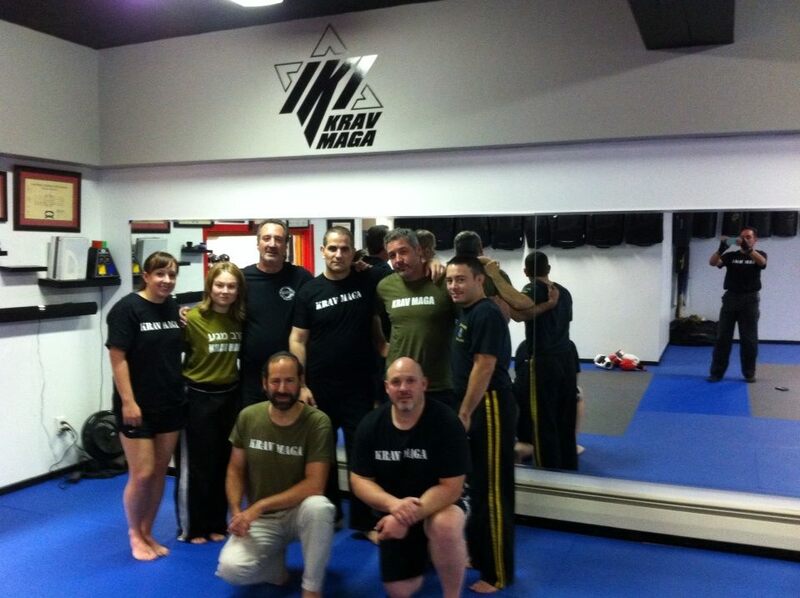 What is the true origin of Krav Maga? What makes Israeli security and fighting unique?